Use of their facial features or body parts to get sensory stimulation, such as: tilting of the body, spinning in circles, hand flapping, drawing with fingers in the air, etc. Other than that, staring at objects, such as lines on the floor, is also a common self-stimulating behavior. 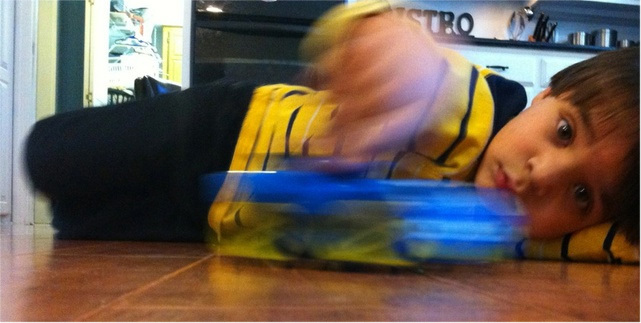 The use of objects to stimulate the senses, such as: continuously rotating containers, toys, car wheels for instance. 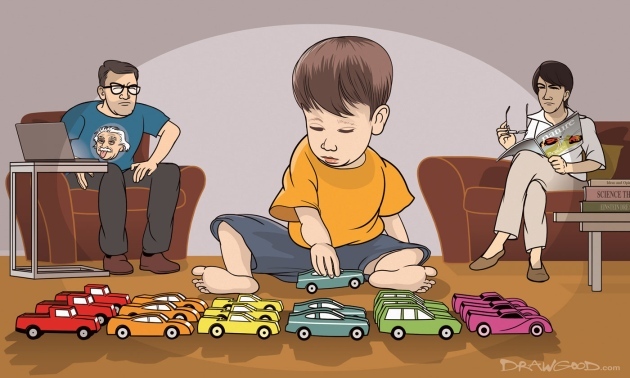 Exhibiting obsessive habits, such as : insisting on wearing clothes of a fixed colour, the way of holding objects, arranging objects, sticking to a regular routine (even insisting on performing each procedure by him/herself), repeating the same topic, and so on. We often hear parents in their daily lives dealing with these behaviors by scolding, ignoring the child, using punishment as well as other methods. The effect of the child ceasing such behaviors is not significant, and in some cases, there are signs of increased frequency and even deterioration of the situation. The reason is simple: these acts are intended to obtain sensory stimulation and it is very rewarding for the child when achieved. Therefore, using an ineffective strategy only allows for the indulgence of these inappropriate behaviors. Our Director, Toby Mountjoy had shared with parents, during the question and answer session, about teaching replacement techniques to intervene in the child’s self-stimulating behaviour (Proactive procedure). In the long run, teaching alternative skills is an effective way to improve the problem. However, when the child’s self-stimulatory behavior is very frequent, it might be challenging to start teaching any skills, so here are some ways to interrupt the behavior (Reactive procedure). First of all, you need to know that it’s not possible for the child to get rid of these behaviors right from the start, especially in the early stages of the intervention. So it would be good for you to set aside some time every day (e.g. 15-20 minutes) in order to practice with your child. Step 1: Whenever the child self-stimulates, you may have to touch part of the child’s body, or even the whole body, to interrupt the child’s behavior.(e.g. gently put the child’s hands down if they exhibiting hand flapping behavior). The purpose is to immediately eliminate the sensory pleasure the child obtains through these acts, therefore, the sooner the behavior is stopped, the lesser time the child gets the pleasure. If possible, parents should provide the least amount of physical action / assistance to stop the behavior, because we want the child to start learning to practise self-restraint. This way, in the future, interrupting the behavior can be relatively faster and easier. If the child uses an object to get sensory stimulation (e.g. spinning of a cup), simply just remove the object. 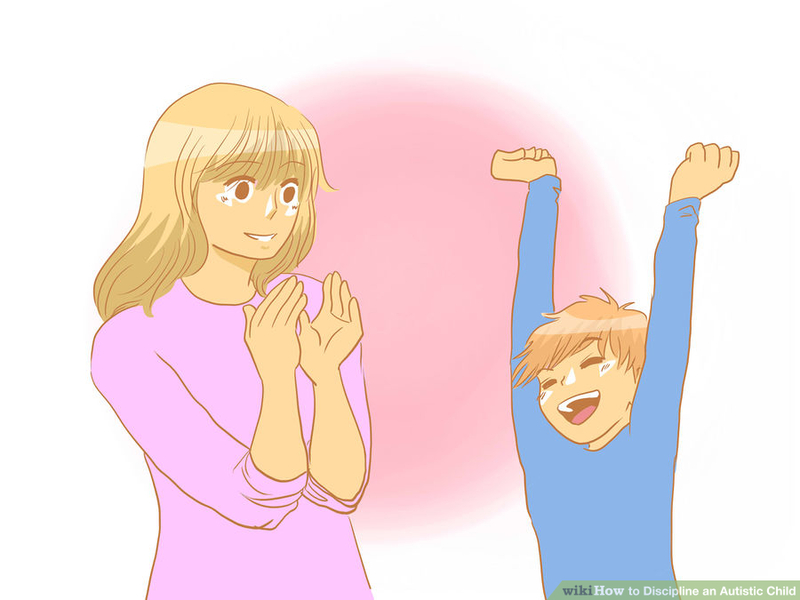 Step 2: Use incentives to encourage your child to exercise restraint. Parents who are familiar with the use of tokens with their children can use tokens to exchange for rewards. Otherwise, parents can hold onto the reward (e.g. the child’s favourite snack, tablet PC, etc.). Typically in the early stages of the intervention, the amount of time the child can exercise restraint is very short. Therefore, parents have to seize the correct opportunity to reward the process quickly and directly. While delivering the reward, also praise the child in simple and concise language, so that the child knows the expectations of the appropriate behavior, such as: “Good hands, quiet”. This will help the child in learning the relationship between demonstrating self-control from exhibiting self-stimulatory behaviour and getting the reward. Step 3: As your child begins to learn to regulate his own behaviour, you can gradually incorporate the teaching of alternative skills or other courses. Suppose I want to teach the child to play puzzles to replace his hand-flapping behavior, I will gradually ease in the teaching of puzzle play with the training of self-control. For example, the child has to collect six tokens in order to be rewarded, so for the first 3-4 tokens, they would be given an opportunity to demonstrate self-control (i.e. refraining from self-stimulation) and then for the rest of the tokens, they would be given a puzzle so that they can demonstrate appropriate play with the puzzle. Tokens are given when the child completes the instruction of fixing the puzzle and expressing self-control at the same time. Parents can adjust the number of tokens in response to the child’s performance. Playing the puzzle becomes the replacement skill for hand-flapping. When the child understands the behaviour they need to control, the time in which they abstain from self-stimulatory behavior should increase, and so the amount of time the parents can work with the child and the expectations of the appropriate behaviors would greatly increase too. Ms. Christy Lai holds a Bachelor of Arts in Psychology from University of Michigan, Ann Arbor. She is currently pursuing a Master of Science in Applied Behavior Analysis in St. Cloud State University. She joined Autism Partnership (AP) in 2011 and began working directly with students in one-on-one, social group as well as providing school shadowing and participating in parent training workshops. She is also responsible for formulating IEP, designing lesson plan and providing training to staff. She is now the lead teacher of Little Learners under the supervision of Mr. Toby Mountjoy.